The Microsoft Surface Laptop 2 is the 2nd generation of Microsoft’s popular 13.5-inch thin-and-light notebook. The main upgrades over the older Surface Laptop 1st Gen are newer and faster 8th Generation Intel Core processors instead of previous 7th Gen chips. 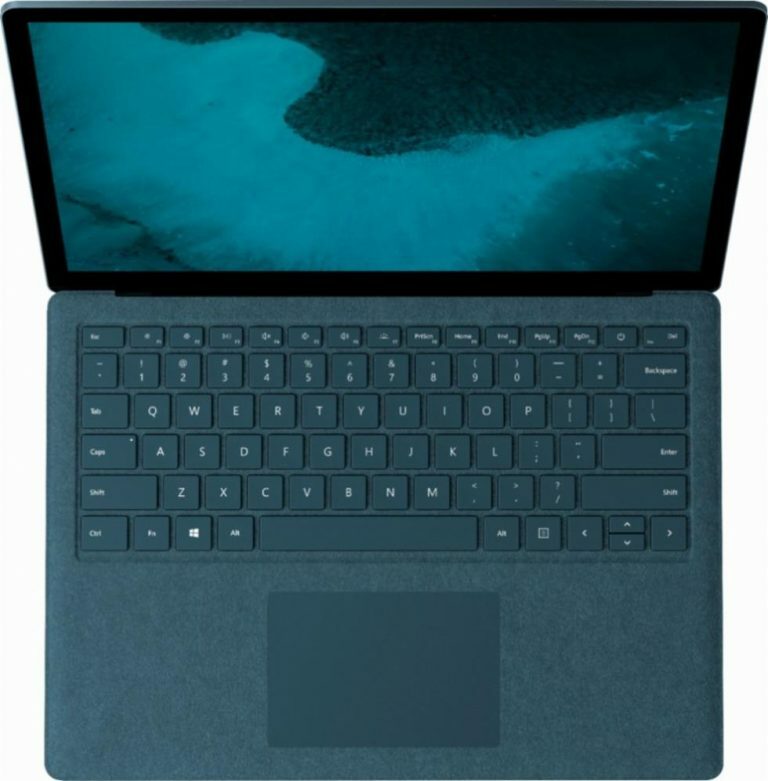 Starting at $999, the Surface Laptop 2 features the quad-core 8th Gen Intel Core i5-8250U or i7-8650U, with noticeable improvements over their dual-core 7th Gen counterparts. Especially when it comes to heavier computing tasks and benchmarks. The only downside is that only the basic Intel UHD 620 integrated graphics is available. The previous model of the laptop has faster Intel Iris graphics on the 7th Gen Core i7 chip. 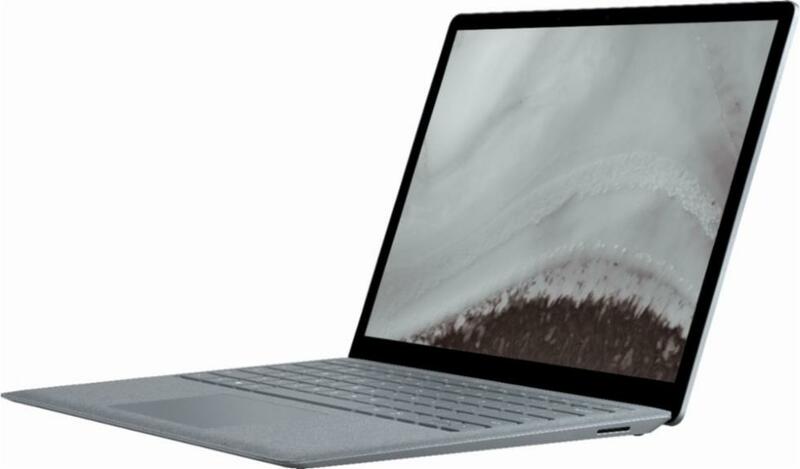 The 1st Gen Surface Laptop is also available with a lower-power and lower-budget Core m3 processor. A similar option is missing on the new version of the laptop. 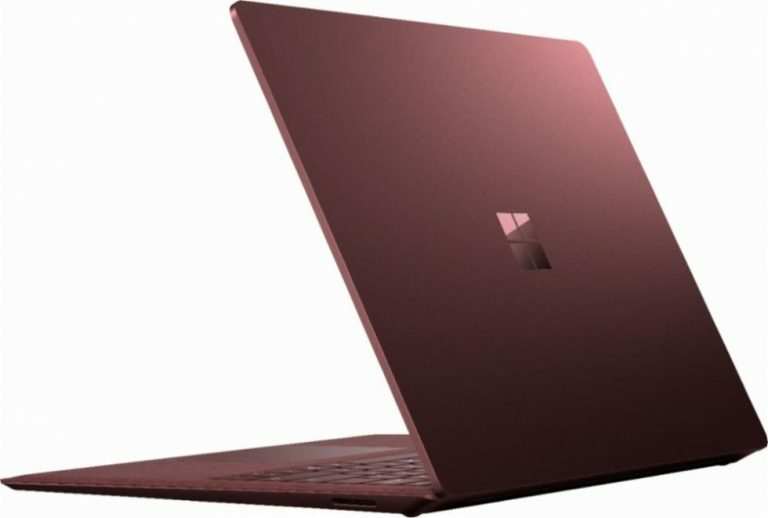 Microsoft has also added a new matte black chassis color option, besides old platinum, burgundy, and cobalt blue. The old graphite gold color isn’t available on the new model. The rest of the notebook is the same as on the Surface Laptop 1st Gen. Except a lack of the basic 4GB RAM option, which is a good thing. RAM size is now either 8GB or 16GB, which are both great for multitasking. 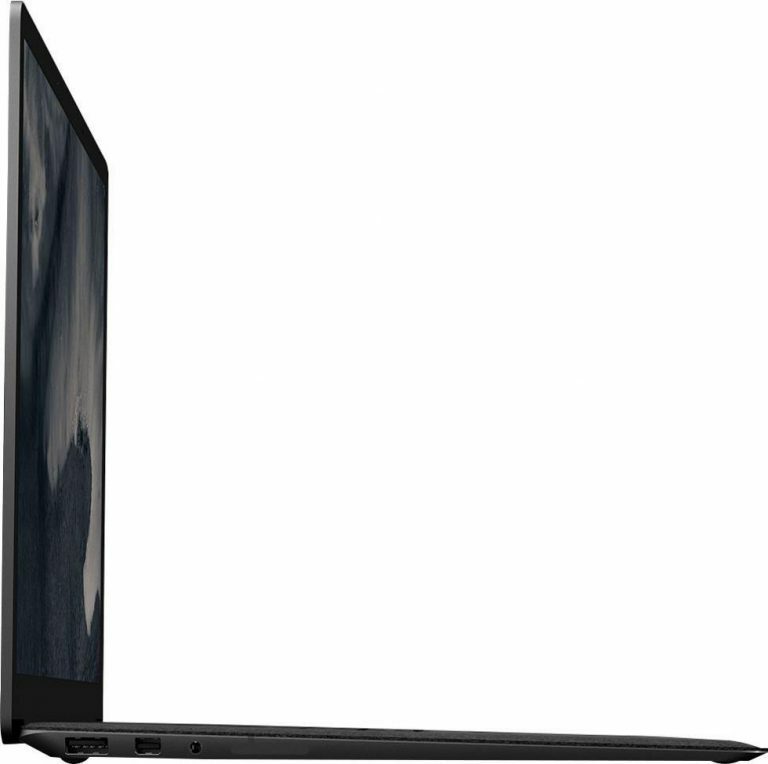 The laptop still ships with 128GB, 256GB, 512GB, or 1TB of fast solid state drive storage. The 2.8-pound 0.57″ thin laptop retains the same extremely sharp 2256-by-1504-pixel display with touch and active pen input support (pen sold separately), IPS wide viewing angles, productivity friendly 3:2 aspect ratio, and scratch-resistant Corning Gorilla glass on top of it. The chassis design remained the same with Alcantara fabric finish on the keyboard deck and aluminum display lid. The keyboard does have backlight. The rest of the laptop features hasn’t been changed. There are stereo speakers beneath the keyboard keys, a 720p web camera, cam for face recognition, single USB 3.0 port, mini DisplayPort video output, combo mic/headphones audio jack, Microsoft’s proprietary Surface Connect jack for charging and docking, 802.11AC-compatible Wi-Fi, and Bluetooth. According to Microsoft, the laptop’s battery can provide “up to 14.5 hours” of local video playback on a single charge. Looking for Surface Pro 6 Black Friday & Cyber Monday deals? Check out our Surface deals page. Here's the specs sheet of the Microsoft Surface Laptop 2. For comparison against other laptops, use the "Compare Specs" button.